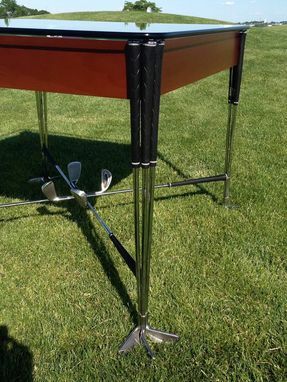 The Golf Club Table is a highly customizable piece to fit and anyone's needs. 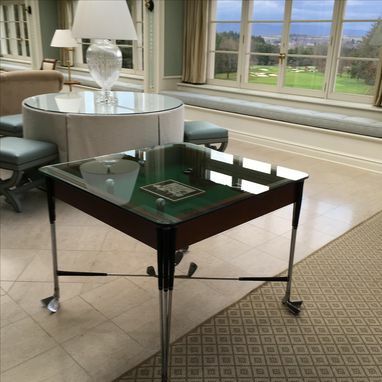 The original table is built 38" x 38" as a collectors/card table that is perfect for Bridge, poker, and other well known card games. 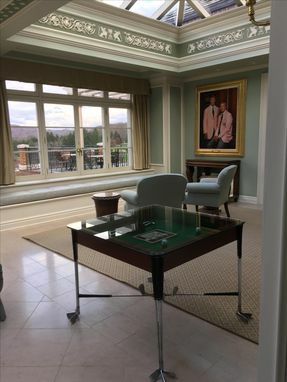 The design can also be used as a breakfast nook, dining room, coffee, or sofa table. 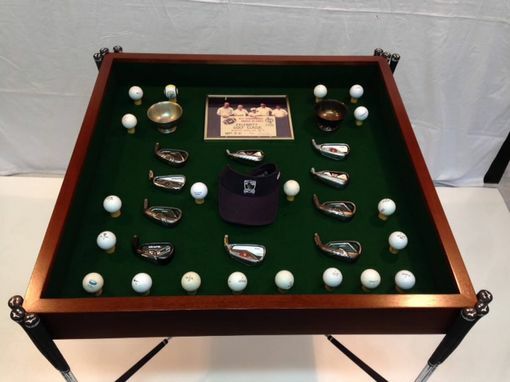 The focus of the table is to display golf memorabilia, such as, signed items like balls, photos, and awards. Gerald, the original designer, had the intention of the table being made from husband and wife old clubs to make it more sentimental to not only himself, but those interested in one of their own. 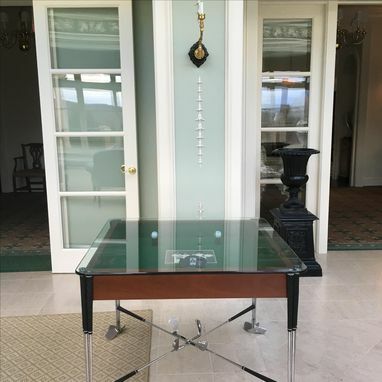 In addition, Jerry , Gerald's son, designed the table to be easily assembled / disassembled with only a screwdriver so it can be easily flat box shipped to anywhere in the US. 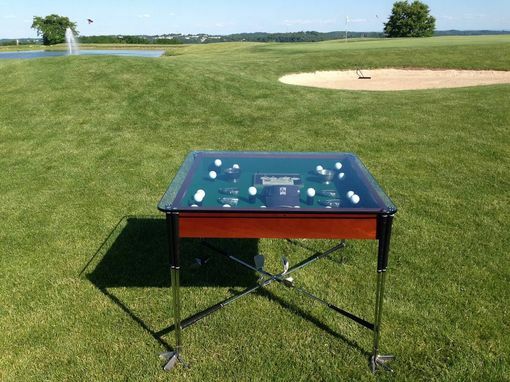 The Golf Club Table was designed with family in mind and in hopes that it can be enjoyed by others as well.